Students for a Sustainable Stanford was formed in the Spring of 2000 by a small group of individuals, some of whom wanted to encourage green building on campus, and others who wanted to reduce Stanford's greenhouse gas emissions. Our primary focus during our first year-and-a-half was to increase the incorporation of green building strategies and techniques in campus buildings. We joined forces to work toward getting a green building policy in place on campus. Our central argument was the following: green and energy-efficient buildings not only save resources, but also save the University a significant amount of money by reducing energy operating costs over the life of the buildings. We hold that while remaining sensitive to economic concerns, it is possible to construct buildings that are healthy for their occupants and are respectfully integrated into the local environment. Since Fall 2001, the group has been extremely successful in advancing these policies. To raise general awareness and support for these issues on campus, we mounted a large campaign to educate students, faculty, administrators, and the Board of Trustees. We have also published op-eds in the campus newspaper and have had several articles published about our work. We successfully lobbied both the Associated Students of Stanford University and the Graduate Student Council to pass statements of support. Both of these organizations delegated their negotiating authority to our Task Force on these issues so that we spoke for over 15,000 students when advocating our proposals. We have collaborated a great deal with key faculty members, especially those with expertise in the engineering aspects of green building, and we have met in strategy sessions with outside experts and alumni in the green building field. We have also communicated with several members of the Board of Trustees concerning our proposals. In March 2001, the top Land and Building administrators made a proposal to us to create a new committee within their administration to review past projects and to make a policy recommendation on green building. Negotiations stemming from this proposal ultimately resulted in the formation of the Environmental Stewardship Management Group, a committee composed of Land and Buildings staff, faculty, academic staff, and student representatives from our group. The committee was charged with the creation and implementation of Stanford-specific sustainable building guidelines for future construction on campus. In Stanford's first formalized attempt to incorporate green building principles into its buildings, these new Stanford Guideline for Sustainable Building was released in March 2002. Since those formative years, the group has acquired more areas of interest, more fields of organizing, and other methods of action. At various times, we have met with the University President, Provost, and Assistants to the President. We also met with the top energy administrators on campus and began a process with them to identify problems and solutions to incorporating more sustainable procedures and techniques within the institution. Currently, we run a variety of campaigns and events on campus. Students for a Sustainable Stanford (SSS) is the name of the organization. SSS is the official abbreviation of Students for a Sustainable Stanford. Students for a Sustainable Stanford is an inclusive and intersectional community that strives for long-lasting sustainable practices on and off the Stanford campus through discussion, engagement, and direct action. As a broad interest group, we attract students with diverse interests in environmental and social sustainability which are inseparable and intimately connected. Our group functions as a hub for students who are passionate about improving the way that people relate to their environment. SSS’s weekly meeting is a place for people to share ideas, advertise opportunities and events, network, organize and launch projects. See Article 8 for more details. Meetings are regularly held on Mondays from 9-10pm in the Haas Center. Our organization pursues change through the actions of project groups. In past years these groups have centered around topics such as Zero Waste, Environmental Justice, Climate Action, Transportation, and Education. This is not an exhaustive list. In addition to project groups, SSS regularly hosts documentary screenings, invites faculty for discussions, and cosponsors and attends events hosted by other communities on campus. We have several large annual events, including our annual Schneider Lecture, Earthfest, and Zero Waste Week. Membership for SSS is open and limited to currently enrolled undergraduate and graduate students. Students are welcome to join any time, although members must be active for at least one quarter to participate in voting on petitions and group decisions. Alumni and community members are welcome to attend public events hosted by SSS. Co-Presidents lead SSS and make directional decisions; maintain SSS’s outward-facing presence; keep up strong connections with important administrators, faculty, departments, partners, committees, etc. ; put together quarterly reports and Board of Advisors meetings; and push for institutional change through routes that do not lend themselves well to the project group structure. Director of Strategy holds SSS accountable to its goals; makes sure that projects are strategic, intentional, and translate to their intended impact (using our beautiful “project checklist”! ); holds frequent check-ins with project coordinators; keeps communication channels open among the leadership team to facilitate collaboration; and supports co-directors with logistical and strategic planning. Financial Officer controls the finances of SSS (including reimbursements, honoraria, and budgeting), meeting recaps, attendance; arranges internal education sessions; regularly checks the official SSS email and Facebook messages and meets other organizational needs. Social Chair plans social events including retreat, frosh week, special dinner, fun hangouts, etc; comes up with creative ways to make SSS an ever-more fun and supportive community; prepares meeting snacks and orders food for social events. External Community Officer establishes contacts and looks for partnerships with other student groups, community centers and off-campus organizations; acts as a liaison with other groups involved in the environment, environmental justice, and social justice; bottom-lines Earthfest; plans volunteering activities that engage SSS members and the greater Stanford community in meaningful partnerships; starts other initiatives including engaging with local middle/high school sustainability clubs, events with other on-campus environmental and justice groups. Media Chair(s) coordinates blog, calendar, website, social media, graphics, archives, etc. ); strategically eyes SSS’s growing media presence and outreach capacity; support media needs of project groups and SSS events. Schneider/Events Coordinator(s) make the incredible Stephen H. Schneider Memorial Lecture happen. They work with Terry Root and various groups to organize a lecture aimed at engaging in dialogue about environmental topics with those who might not otherwise be engaged. Once the Schneider Lecture is done, they work on Earthfest and other environmental lectures and events. Project Group Leaders interface directly with general members; plan and initiate new sustainability projects with the help of interested general members; make an agenda for general meeting for their group; organize other times to meet to act on projects. 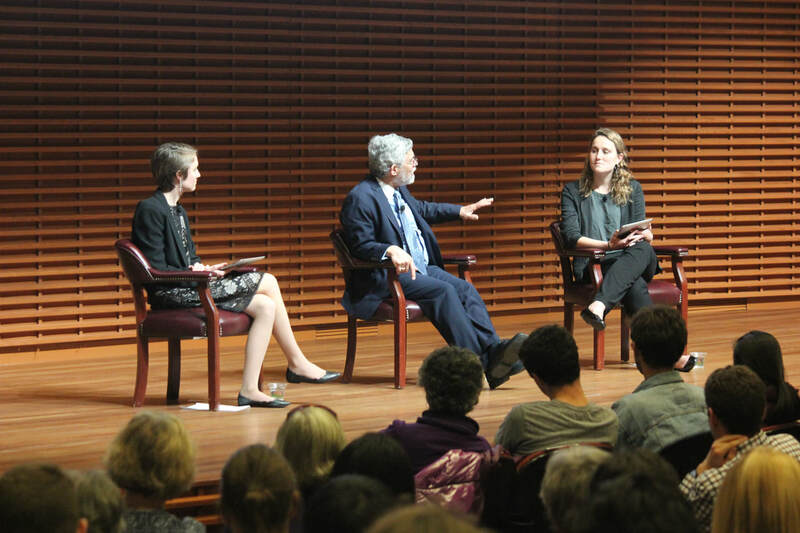 They make change happen at Stanford. Advisors are non-elected members that sit in on SSS leaders meetings to provide advice and knowledge as well as facilitate collaborations with other organizations. In the past this has included the ASSU Executive Environmental Justice & Sustainability Committee Chair as well as leadership members of past years. Presidents (co-directors) and officers are elected by leadership from current year based on interviews, previous involvement in SSS and other relevant experiences. Project group leaders are selected by both the incoming and outgoing leadership teams during Spring quarter. If a member has concerns that an officer is not fulfilling their duties or is acting in a manner that is detrimental to the group, they should bring their concern to the Co-President or Director of Strategy. The President should then notify the person in question about the concern and give them at least a week to attempt to resolve it. If the issues remains unresolved after that week, the Co-President or Director of Strategy are obligated to bring up the concern in the next leader’s. The person in question (alleged to not be fulfilling their duties) should be given an option to defend themselves in person at the meeting or provide a written statement. During the leaders meeting, the person in question may be removed by ⅔ majority with the person in question excluded from voting. If the group votes to remove an officer, another election will be held as soon as possible to fill the position. Leaders elected for an incoming leadership position should start shadowing the current leader in that role during spring quarter. Any important documentation or records, including this constitution, should be shared with incoming leaders. Officers in the current position are encouraged to let the incoming leader take on their responsibilities at the end of spring quarter. Officers will officially start their terms in the beginning of fall and end their terms at the end of spring quarter. However, new leaders will be required to plan and prepare for the fall during the summer. Funds should be given to the Haas Center for Public Service in the event of group dissolvement. Property should be given to the Haas Center for Public Service in the event of group dissolvement. Constitution can be amended by ⅔ majority vote by all active members present at a general meeting. Key decisions can be amended by ⅔ majority vote by all active members present at a general meeting. General Meetings are held on a weekly basis. General meetings are typically facilitated by Co-Presidents and the Director of Strategy, although other leadership members can also facilitate. Half of general meeting time is devoted to greetings, announcements, group discussions and internal education. During internal education timeslots, community members, students, professors, and Stanford staff give brief presentations on a topic of interest for the group. Financial/Operations Officer is in charge of scheduling internal education, but anyone can suggest an internal education topic or speaker. Leader’s Meetings are held weekly. Leader’s meeting is facilitated by the co-presidents and the director of strategy, with an agenda sent to the rest of leadership for revision prior to the meeting. Any leader can add discussion points to the agenda with advance warning. Article IX. How often do we revisit the constitution? The constitution is reviewed by SSS leadership on a yearly basis when the new leadership is finalized at the end of Spring quarter. We work to promote energy efficient and environmentally sustainable buildings and practices at Stanford University. Open and limited to students of the Stanford community, e.g. undergraduates and graduates. A. Titles and Responsibilities – President is responsible for calling meetings, Financial managers are responsible for writing checks and balancing our budget. B. Elections – Officers are elected yearly by a majority vote. C. Removal Process – Officers are removed by a majority vote. D. Length of Term – One Year. A. Disposition of Uncommitted Funds – to the Engineers for a Sustainable World group at Stanford. B. Disposition of Property - to the Engineers for a Sustainable World group at Stanford. By a 2/3 vote of the groups’ members.